Falling for Katy—a human—won't just place her in danger. It could get us all killed, and that’s one thing I’ll never let happen..."
Umm more Daemon? Yes please! 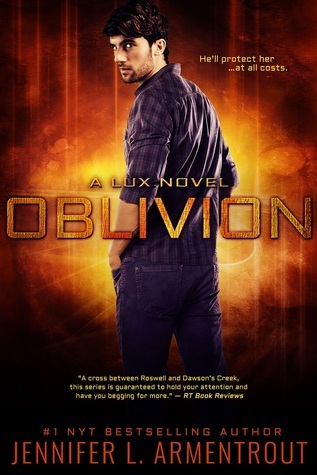 Oblivion will be released on December 1, 2015. I love JLA! Great pick!! Definitely adding it to my list. I want to read this one so badly! It just looks so good. I have never read this series but can I say, I think Armentrout's covers really needs to spice. I know they haven't done the ones I have read justice. I am looking forward to this one as well. Hope we both have a chance to read and enjoy soon. Oh girl! YES! I cannot wait for this one either!! I've only read the first book in this series. I really need to catch up! I hope you enjoy reading this one. I like hearing the same stories from another characters in books. I still have the last book in this series to read but hopefully once I do I can read this. Awww yeah! I can't wait to read this book! More Daemon... I hope you enjoy this book when you read it!